Malcolm X was a civil rights activist who thought that equality is possible if the oppressed are able to defend themselves by any means necessary. According to History.com, Malcolm X was born in Nebraska in 1925. His family was threatened by the KKK, provoking them to move to Michigan. By the Age of six, Malcolm’s father had been murdered and government workers had taken him away from his mother. At twenty-one, X was serving a prison sentence of 10 years. During this time, he found the teaching of Muhammad and it changed his life forever. X had adopted the belief that equality cannot be achieved, and the only means of stopping the decimation is total separation. But until that is possible, he thought that it was important for black people to defend themselves, even if it takes violent methodology. Although he advocated for the use of violence, he says it is only a reaction to violence. 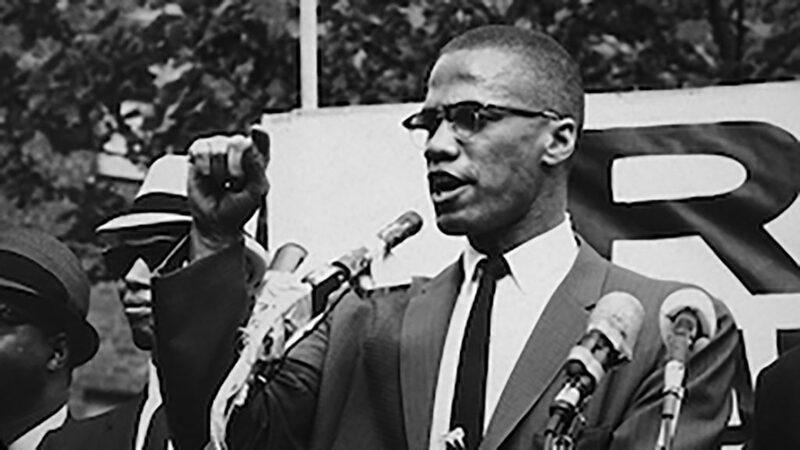 Later in his life, Malcolm X was upset that the Nation of Islam(NOI) did not follow suit in the effort of civil rights. Despite these feelings, it wasn’t until Malcolm was suspended from NOI that motivated him to leave the group and start a religion of his own. Before forming the organization of Afro-American Unity, Malcolm took a trip to Mecca and started to believe that equality was possible. Even though he started fighting for equality, he did not change his position on self-defense. This is the key difference between he and Martin Luther King Jr.
On Malcolmx.com there is a library of quotes that demonstrated ideas that were important to him. An example being, “My alma mater was books, a good library…I could spend the rest of my life reading, just satisfying my curiosity.” The quote is a representation of his affection towards knowledge, and how he did not focus on material possessions. Malcolm was attacked during a speech which killed him, leaving behind a wife with two new born children. Over 1,500 people came to his funeral on February 27, 1965. He was, although cautious to be, a safe haven for those who feel powerless to defend themselves.